Educational Resources, new product announcements, networking opportunities, poster sessions and refreshment breaks. Register by June 30, 2018 to be included in the program. 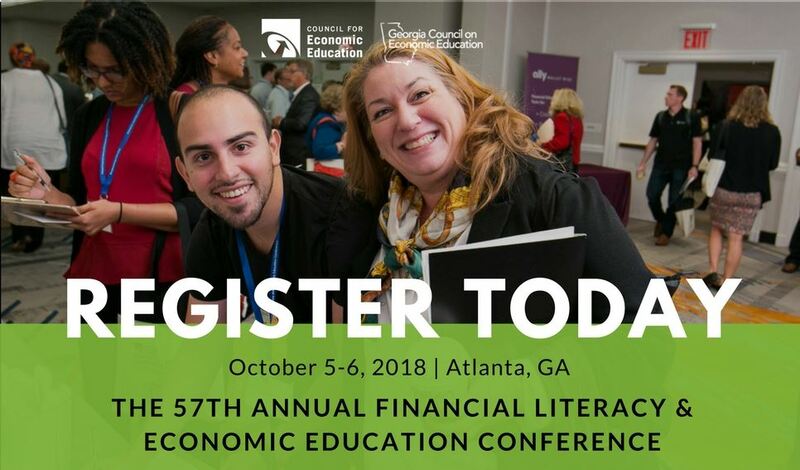 ~ NOTE THIS IS NOT REGISTRATION FOR THE CONFERENCE ~ The mission of National Association of Economic Educators (NAEE) is to advance economic and financial literacy by serving educators. Membership is $50 per year running from October to October. NAEE co-sponsors, with Council for Economic Education (CEE), a conference in October or early November each year, and sponsors a smaller conference for professional development in early spring. CEE's Network of Affiliates; Council/Center Staff, Federal Reserve, Conference Presenters, Sponsors, Additional Exhibitors and all others in the Fin Lit & Economic Education field that are not currently K-12 classroom teachers. Get more information and register at the Council for Economic Education website.